Place this script into your website's HTML source code. 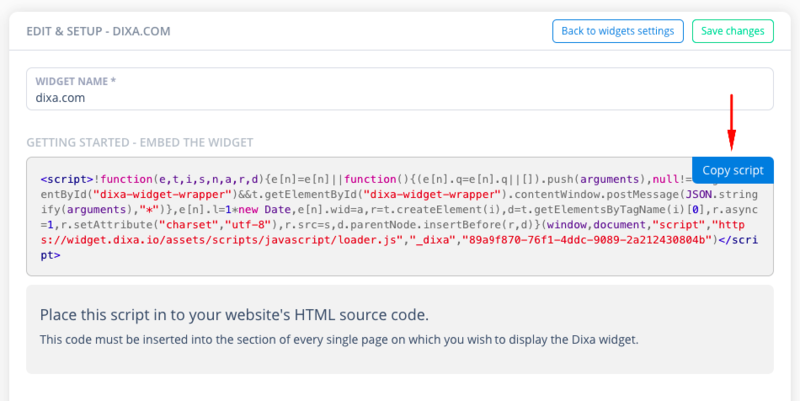 This code must be inserted into the section of every single page on which you wish to display the Dixa widget. It can be in the header, footer or before the </BODY> tag (before body tag ends). It is only necessary to install the chat script once. 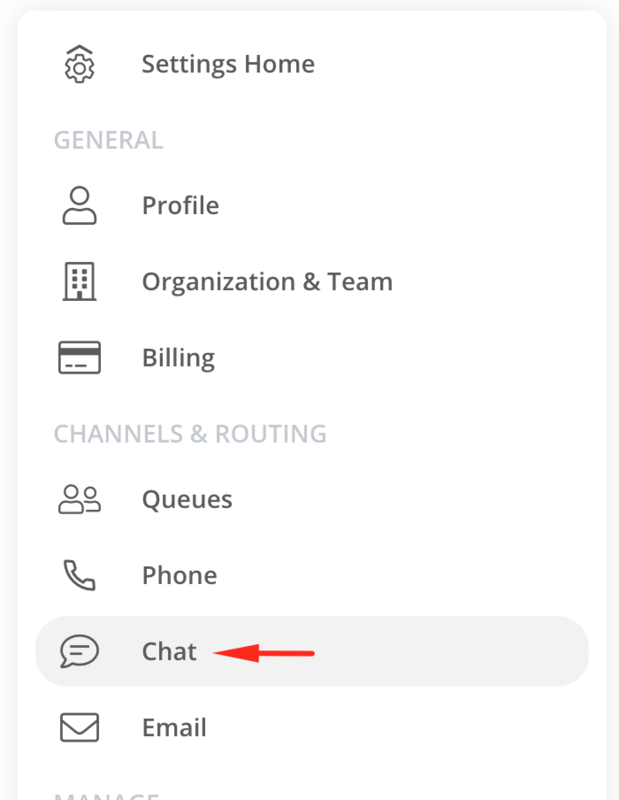 Any changes you make to the chat widget (and flow) later on will update automatically upon saving the widget. 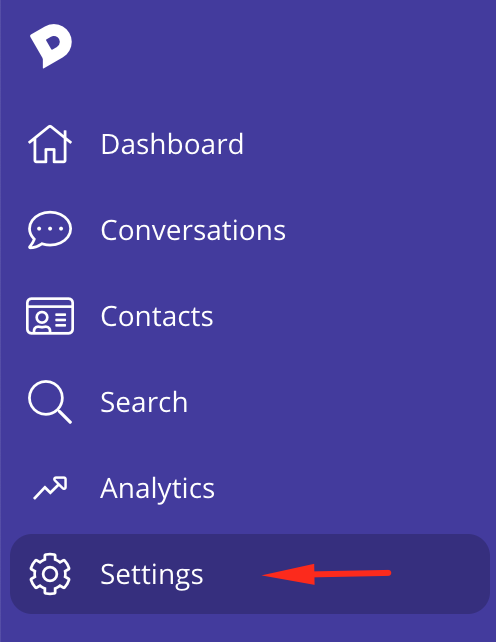 Currently the chat widget supports Danish, Dutch, Estonian, Finnish, German, Latvian, Lithuanian, Norwegian, Portuguese, Russian, Spanish and Swedish. Please see Advanced Chat Settings Guide for advanced customisation.